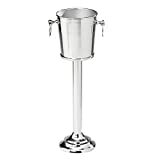 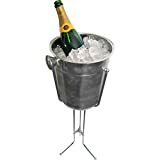 No matter whether you're chilling Champagne or wine or just keeping ice cubes readily available, do it in style with this cool new Worthington Champagne Bucket and Stand. 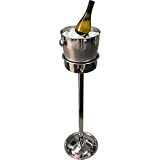 This stunning ice bucket / beverage tub and stand are handcrafted from sleek stainless steel with mango wood accents, while the bucket features double-walled construction to maximize cold retention and eliminate messy condensation. 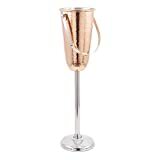 Perfect for New Year's Eve, weddings, fancy soirees, normal parties, or just anytime really. 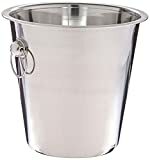 Size: 12" Diameter x 39" H - 8 lbs.